Today Declare There Is A Right Solution To Every Situation! Are you facing challenges.? Then this is for you…Today Declare There Is A Right Solution To Every Situation! I hope you are having a great week. What an awesome time at The Kingdom Church, we have shared an incredible time in God’s presence. From Friday’s Miracle Fire Service, Saturday we had a powerful morning praying for the Nations and Sunday our last Frankincense service of 2018. As the year is coming to an end it is so important to make sure that you are here in these services, you don’t want to miss what God is going to do. It was truly amazing, I am so happy to be chosen by God to be able to deliver His message to you, it is such an honour. And I am proud of you for reading this On Sunday something happened and because of this, your life is about to be transformed…. God spoke to me that this month is the month of divine additions and this is the month that God is going to add on, supply and multiply. Today I prophesy into your life that great things are going to be added into your life. Great things are about to give to you, many blessings and favours are going to reach you this week and with every blessing associated with new things will come upon you. There is a secret that many people do not know Throughout generations When Jehovah took the children of Israel to the wilderness for 40 years he fed them Quails, Manna and fed them water, they were well looked after. 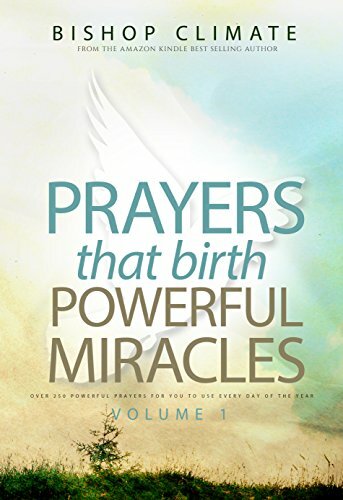 CLICK NOW FOR PRAYERS THAT BIRTH MIRACLES! NYE and 21 Daniel Fasting Announcement Coming Soon! Tuesday 4th December Kingdom Seniors at 7:30PM! Come for networking and biblical principles for all seniors. Join us Friday 7th December Come and join us for the After Sunset Miracle Service. Come and hear instant testimonies of healing, breakthrough and restoration. Join us Saturday 8th December Midnight Express 12AM – 1AM Come for the express prayer service that is breaking barriers and producing miracles! Super Sunday 9th December 2018! Today Click Here And Tap Into Your Favour Miracle! Today Discover What’s Holding You Back In Getting Results! Read Prophetic Word From Bishop Climate! & More!